Is “Liquid Paper Scam” a new modus operandi in NAIA? 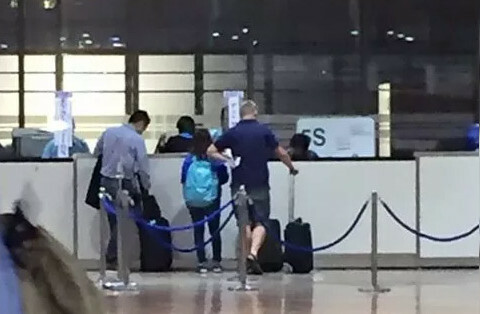 A Pinay traveler almost fell prey to the “Liquid Paper Scam” in NAIA. Through a Facebook post, which is no longer available as of press time, the Filipina traveler married to a Japanese said that she was about to take her flight to Japan with her son and husband on Sunday, January 24 when the alleged incident occurred. According to Nogot, she was asked to pay P200 and her son, who is a Filipino citizen, P1,620 for traveler’s tax. Believing that there’s no need for her to shell out P200 since she’s a permanent resident of Japan, Nogot insisted not to pay for the questionable fee. Moments later, Nogot’s passport and alien card were apparently taken by the NAIA staff from Tourism Infrastructure and Enterprise Zone Authority (TIEZA). When the NAIA staff returned her alien card, Nogot was questioned why her card does not indicate her Japanese surname. Indeed, Nogot was shocked to see that her Japanese surname was nowhere to be found in the alien card when she checked it. But upon closer inspection, Nogot discovered that her surname was purposely erased using a liquid paper. A staff even asked her to present an NSO-certified marriage certificate in order for her to prove her claim. Aware that she was being subjected to harassment, Nogot wiped off the whitewash covering which concealed her Japanese surname. The alleged victim opted to make a scene to attract the attention of other passengers. “Bakit nyo tinakpan ang apilyedo para makahanap lang kayong dahilan para tarantahin ako?” Nogot questioned them. Upon realizing that Nogot apparently figured out their illegal money-making scheme, the NAIA staff panicked and turned back still holding their travel documents. Nogot attempted to capture their photos but was prevented by another personnel who flipped her ID and warned cameras were not allowed.